Freedom Rockz: Free Pie Wednesday! 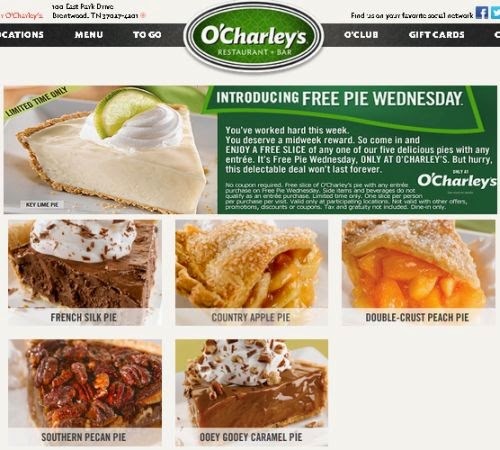 Get a free slice of pie @ O' Charley's with any entree purchase. No coupon is required for this offer. Click the link below to go to the O' Charley's website to get the details of this free offer.